Thousands of leather photo album connoisseurs can't be wrong. 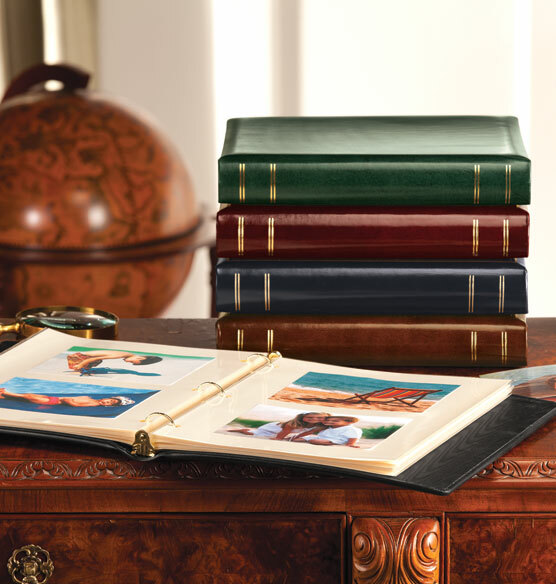 This antiqued top-grain Presidential leather photo album in rich, deep colors, with superb detailing is one of their favorites. What's to love? Plenty. The wrapped antiquated leather feels smooth to the touch, as fine-quality leather should. Two gold borders enhance the look of the cover, while gold detailing stands out on the spine. 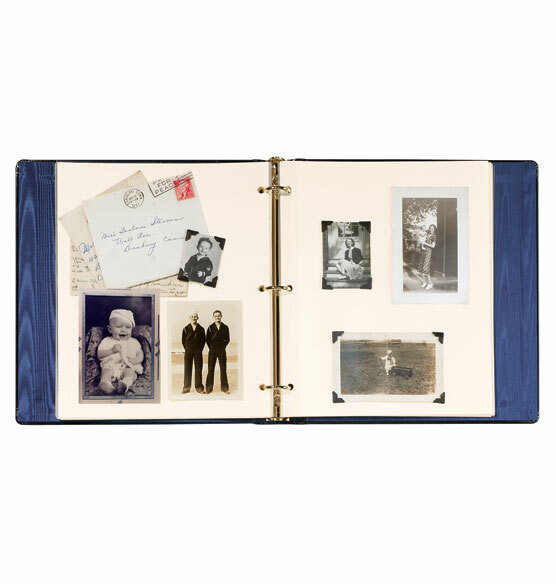 It's an album you can feel good about using for displaying and preserving family photos and photos of friends and loved ones. It also makes a nice gift for any occasion. 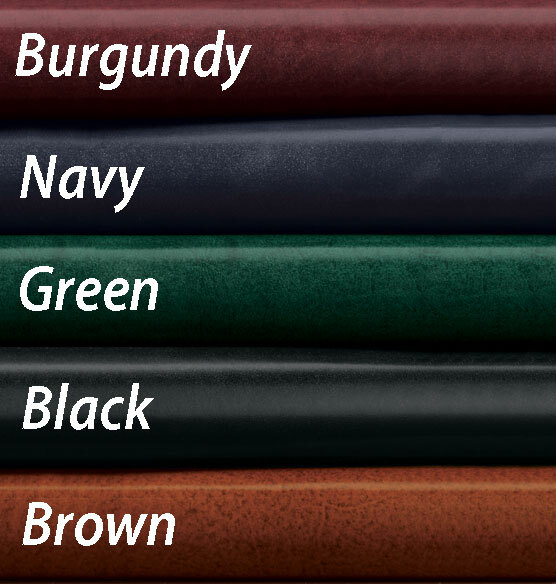 This 3-ring album comes in burgundy, navy, black, brown and green and make a fine addition to a home library. This album is a bit pricey, but when purchased on sale, it's affordable and well worth the price. I probably go through one every two years (for family photos/vacations, etc.). It is very well made and looks rich - I'm sure it will hold up for many years. I find it a shame that these albums are now made in Taiwan instead of the USA. It shows in the quality of the lining application (frayed edges), and also in the decorative gold lines on the leather. However, since I own almost 30 of them I will continue so my albums all match. However, I am not as pleased as I once was. High quality, good looks, very stylish. Used this album for over 15 years. Great quality. I've used these for years, and the quality is excellent. Worth the price for preserving memories. I purchased several of these many years ago and am very pleased with the quality of this item. I love these albums. They hold my family collection for over 20 years. From the time my girls were born to graduating college. Nice collection for my Library. Thank you exposures. Bought this item before and it looks fantastic and holds up very well! I like the large size for placing photos and other memorabilia as I like. Have ordered this in the past and was pleased. I think we are the last living Americans who actually print pictures and organize them into a book. We have twenty Presidential albums. They're lovely on the shelf and have protected our pictures beautifully. I already have 7 of these items. A great product. Beautiful soft leather and can be personalized. I have four others just like this one and they are classic and beautiful. It's the same one my father uses for our family pictures. It's a clean and classic design. Timeless. I have collected this same album over the years and love the quality and love having allll my albums look like a set. I own 6 others and needed another. It has classic simple elegance. I've added to the same albums I currently have. The original purchases were of high quality and I'm assuming these will also be the same. Exceptional quality album. I have one that is several years old and it is still beautiful. I find the ivory sheet protectors are the most flexible in arranging photos. The Presidential photo albums are expensive but I like to use them for my trips. I use the Shelbourne albums for my family photos. They are economical and I have many more family photos than trip photos. This album lasts a long time. Holds up to hard use. This purchase is my 29th and 30th albums I've purchased from Exposures over the last 15 or so years. 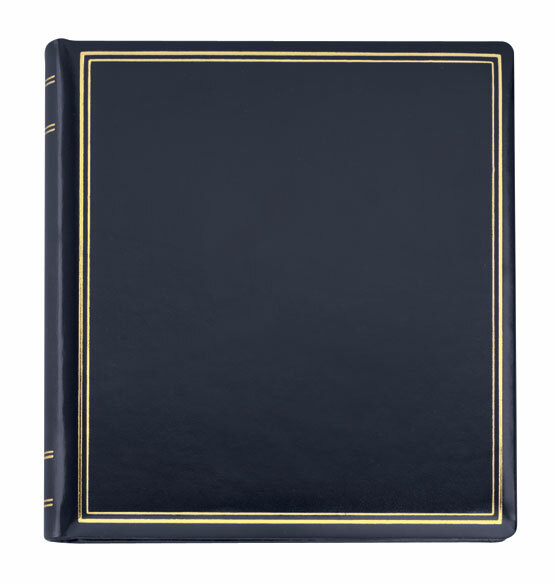 All of our photos are kept in these lovely Presidential albums in an assortment of four of the colors, and they look wonderful in the bookcases. I already have a collection of these albums and would like to maintain a uniform appearance. l already own several of these albums. They are beautiful and elegantly finished. I have bought these albums many times over a 25 year period. I appreciate the fact that they are still available. I would be upset if the set of albums on my shelf didn't match! The quality of the album. I bought one a month ago to sample the quality and was very happy with the album. I will continue to purchase this item as needed. It is so hard to find navy photo albums and this one is beautiful. I have 15 of them and will continue to order as years go on and my family gets larger!! I like the simplicity and elegance of this Album and use it to store all the 5x7s and 8x10s that were previously in frames. I have filled four of these albums and they are very good quality and look nice too. I need another one. What is the maximum number of pages - and maximum number of photos - this album can hold? BEST ANSWER: Thank you for your question. 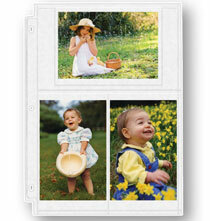 Holds up to 40 – 3-ring photo pages (3-4 sets), if you use 3 1/2" x 5" photos you can get 80 pictures in the album. The larger the photo, the less photos the album will hold. We hope this information will be of help to you. Is it possible to add a title to this album? BEST ANSWER: Thank you for your question. To order the album personalized you will need to order item 309244. We hope this information will be of help to you. I believe so. Most of Exposures albums can be personalized. Can these pages be top loading pages??? BEST ANSWER: Thank you for your question. The double weight pages sold separately are all top loading. We hope this information will be of help to you. I don't think so. The album is a three ring binder. can it be personalized with two lines of text? BEST ANSWER: Thank you for your question. 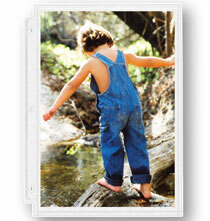 For personalization you will want to order this album with item number 309244. We hope this information will be of help to you. do you have any of these albums in red? BEST ANSWER: Thank you for your question. The Presidential albums come in a Burgundy. We hope this information will be of help to you. 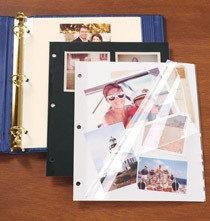 What photo pages fit in this album? BEST ANSWER: Thank you for your question. Any standard 3 ring page will fit in this album. We hope this information will be of help to you. what are the dimensions of the Presidential album? BEST ANSWER: Thank you for your question. You can find the dimensions under the specification tabs. It measures 11" wide by 11 1/2" high. We hope this information will be of help to you. I need to order another one like we currently have, and it measures 14hx13 3/4 wide. Do you have one similar to those measurements? 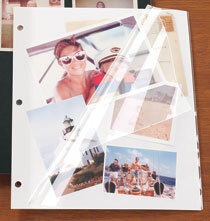 Do you have any photo pages that the photos stick to? BEST ANSWER: Thank you for your question. Please follow the link below to see our selection of sheet proctectors. We hope this information will be of help to you. burgundy color for largest presidetnial Album?